Located on level 27, Grosvenor Place’s Wellness Room is accessible to tenants in recognition of the role of wellbeing on productivity and workplace happiness. 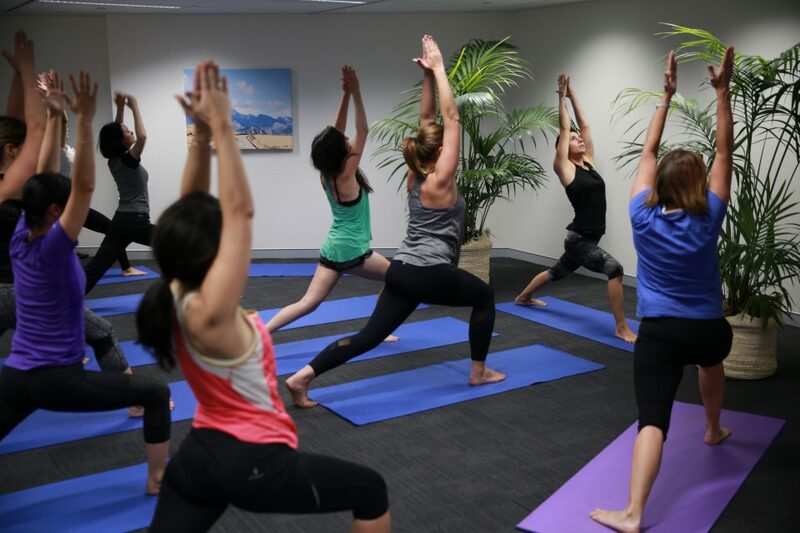 This space offers a series of weekly wellbeing classes, including meditation, Pilates and yoga. Grosvenor Place Management is delighted to announce that our complimentary wellness classes will return on Monday, 29 April. Somatic Meditation: a class that uses transformative power of awareness to deepen our capacity to feel and to sense ourselves as fluidly embodied and connected beings. Participants gain the power to release tension and struggle, learn how to heal and renew, and to savour their experience in a way that enhances the grace, beauty and enjoyment of life, awakening to ever-greater freedom and aliveness. Pilates classes work to maintain musculo-skeletal health and are designed to improve physical strength, flexibility and posture, and enhance mental awareness. Pilates exercises are directed towards minimising the strain on the body that occurs due to the nature of office work. This term’s Yoga classes use dynamic and therapeutic moves in combination with traditional Hatha asana to promote energy flow throughout the body. These movements help develop a strong core foundation and bring physiological and neurological movements into a state of balance.